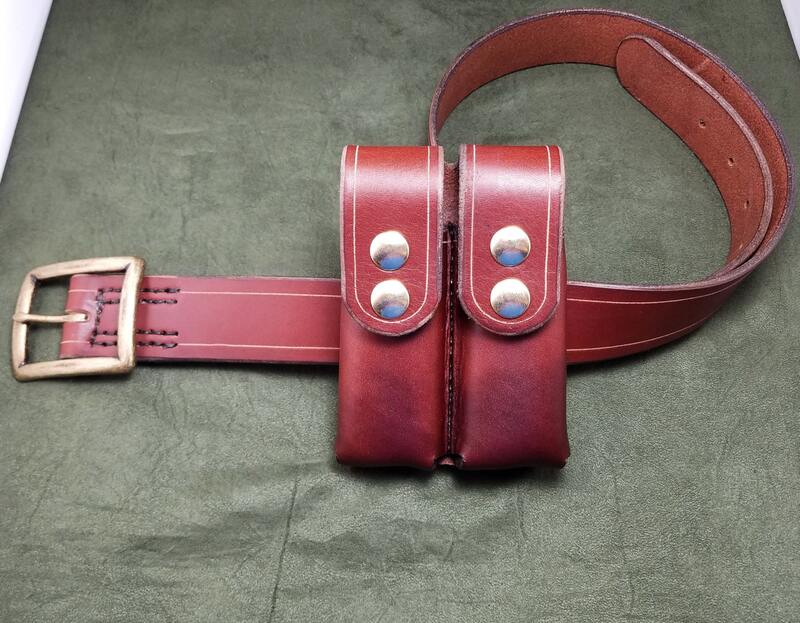 This listing is for a heavy duty, handmade leather belt. 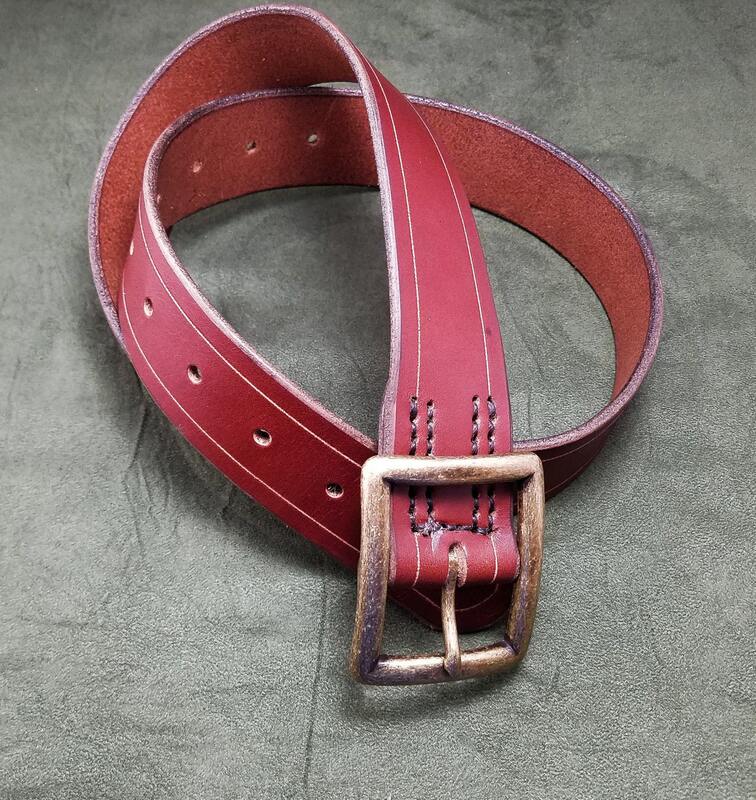 This belt is made out of thick 8-10 ounce latigo cowhide, unless the "natural" color is chosen, in which case it will be made out of vegetable tanned cowhide. 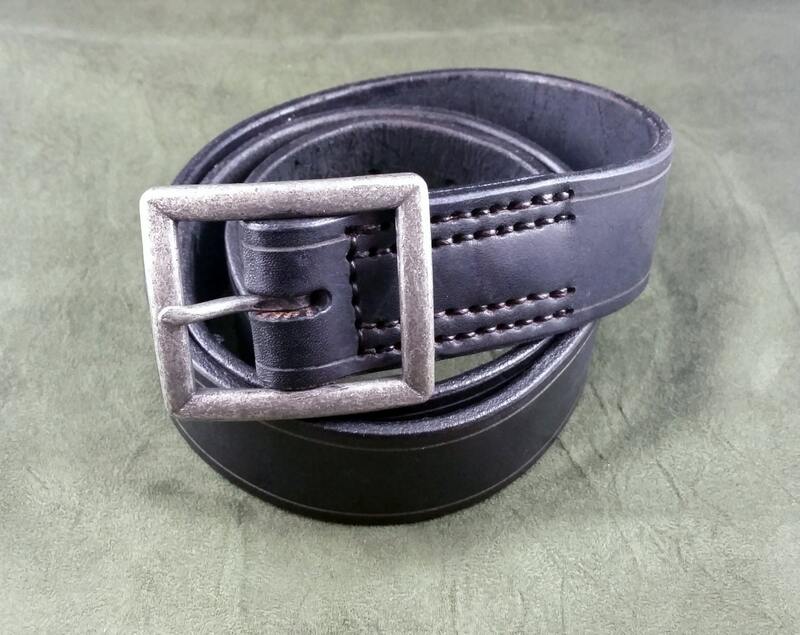 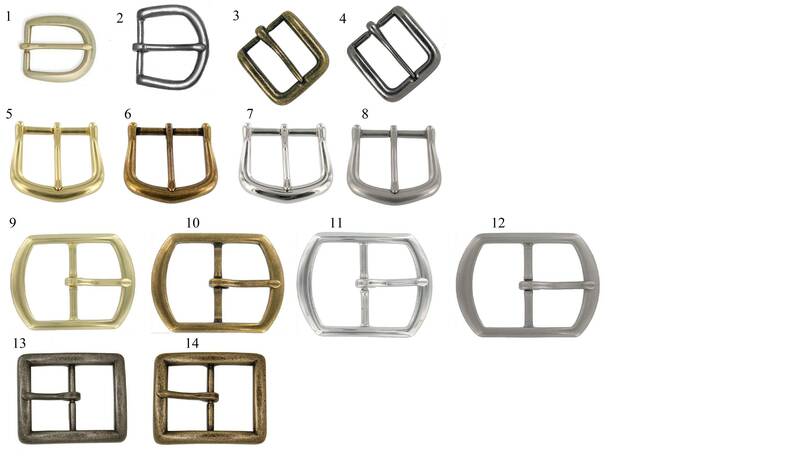 Each belt is 1 1/2" wide, and is hand-stitched in two rows with high tensile waxed nylon thread and features your choice of one of 14 buckles.